Last month, Boston’s longest serving mayor, Thomas Menino, died at the age of 71. Last month was also the thirtieth anniversary of the Dudley Street Neighborhood Initiative, known nationwide as the first community-based nonprofit granted the power of eminent domain over vacant properties in its neighborhood. That unique power granted to a neighborhood-based group was the key; rather than having eminent domain be a tool for urban removal, as so often happened in neighborhoods, DSNI was empowered to use that power to develop and redevelop the neighborhood for the residents of the Dudley area of Roxbury and North Dorchester, not to displace them to make way for high end commercial and residential development. Why link DSNI to Mayor Menino, given that Menino was in the mayor’s office for only two decades while DSNI has been in operation for three? It isn’t that Menino midwifed DSNI’s birth; it was under his predecessor, Ray Flynn, that DSNI took root and got the power of eminent domain for the purposes of neighborhood development, and the Riley Foundation was the notable first philanthropic partner. Rather, it was because Menino was a neighborhood guy and supportive in many different ways of the DSNI effort and the redevelopment of the Dudley area more generally. 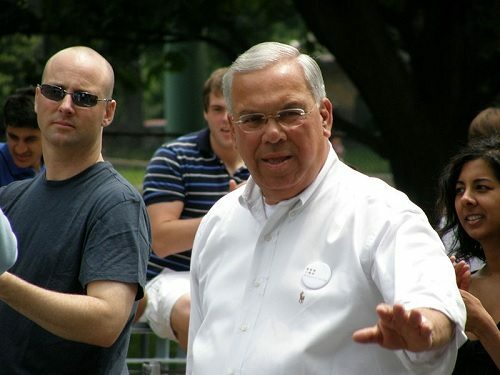 After less than a decade in office, Menino received from Governing magazine the nickname “Main Street Maestro” for his belief that all neighborhoods should be strengthened, that the city should organize many of its municipal functions by neighborhood, and that neighborhoods need not be second fiddles to downtown priorities. For example, Boston’s Office of Neighborhood Services has official liaisons for every neighborhood in the city as well as for all racial and ethnic groups. More than redevelopment, since the election of Menino, Boston has been programmatically and structurally devoted to civic engagement and neighborhood development. Menino’s commitment to putting the machinery of city government into action in support of neighborhood development has been a major part of the success of DSNI. Early on, Dudley Street generated a comprehensive neighborhood plan, but in 1996, during Menino’s early days in City Hall, it updated the plan with a visioning process involving residents from throughout the neighborhood. It was that plan that led to some of DSNI’s acquisitions and eventually to Dudley Neighbors, Inc., the community land trust that has helped bring permanent affordability to some of the housing in the Dudley Triangle area. The community land trust owns or manages 155 units of housing, though the DSNI website indicates that the land trust had led to the development of 225 units with plans for another 250 over the next decade. The inclusion of Menino in this story isn’t meant in any way to minimize the role of citizen leadership and community organizing in the DSNI story. At its core, DSNI is an important example of where community organizing and mobilizing can lead. But there is no doubt that the presence of a mayor as committed to neighborhood development as Menino had to have been a huge boon to Dudley Street. Eminent domain or no, the partnership between DSNI and Nuestra Comunidad to build the Howard Dacia Homes required the commitment in 2002 of over $800,000 in subsidies (CDBG, HOME, and lead abatement funding) from Boston’s Department of Neighborhood Development. DSNI’s and Dorchester Bay Economic Development Corporation’s Dudley Village Homes Project half a decade later necessitated $2 million in DND subsidies. But it wasn’t just the city’s provision of subsidies to make these projects work. It was Menino’s structuring of a city process that worked for neighborhoods and community-based development. The ultimate key to the progress of Dudley Street was resident leadership. Everyone who has had even passing interaction with DSNI comes away with an appreciation of the importance of grassroots organizing and community self-direction. But DSNI’s 30th anniversary might not have been able to count as many successes as it has without more than 20 years of partnership with a mayor who saw neighborhoods as his primary strategic focal point. Many mayors from around the nation over the years visited Boston to learn about “Meninoism” and left to establish municipal offices devoted to neighborhoods or to announce neighborhood development strategies. But Menino’s commitment was more than simply offices and plans. He put neighborhood development advocates, often recruited from local CDCs, into the Mayor’s Office, DND, and the Boston Redevelopment Authority, who put neighborhood-level commitment and knowledge behind the mayor’s belief in neighborhoods. The partnership of Mayor Thomas Menino and the Dudley Street Neighborhood Initiative has been emulated, but never really matched anywhere else in the nation.